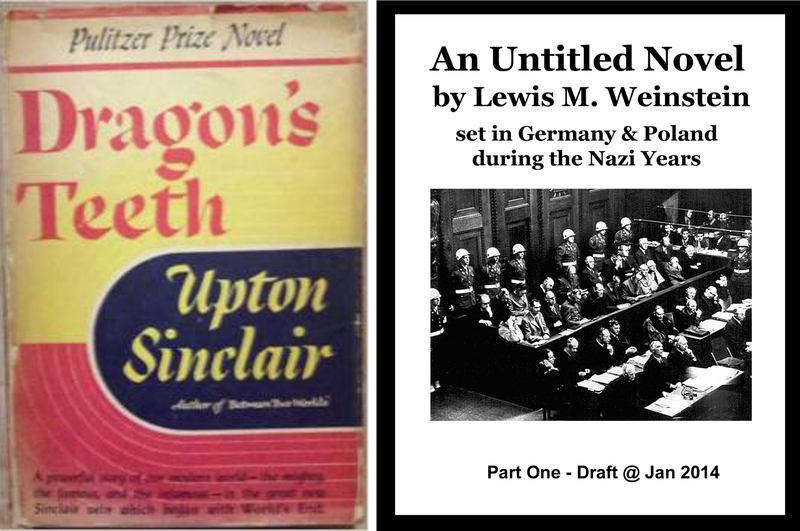 I have read only that part of Dragon’s Teeth which carries the story to the spring of 1933, which corresponds with the time frame I am currently researching for my new novel. It is a spectacular book, showing through a very involved fictional family the horrors of Hitler achieving power. This entry was posted on July 24, 2014 at 9:04 am	and is filed under * A FLOOD OF EVIL ... Lew's novel-in-progress, ** RESEARCH for A FLOOD OF EVIL. You can follow any responses to this entry through the RSS 2.0 feed. You can skip to the end and leave a response. Pinging is currently not allowed.